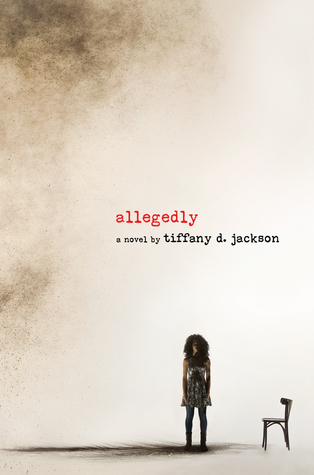 After reading Allegedly by Tiffany D. Jackson, I knew I would be a fan of her work for life. Her first book was a sucker punch to my feels. Her second was one that forced me to sit back and really take in the words she wrote. It shook me, never wonder about that, but it really made me think about things. Short recap: Claudia is the only person who seems to have noticed that her best friend, Monday, is missing. Claudia keeps asking and keeps asking but nobody seems concerned that they haven’t seen Monday either. Claudia knows something is terribly wrong so she sets out to find her best friend, regardless of what she might find. 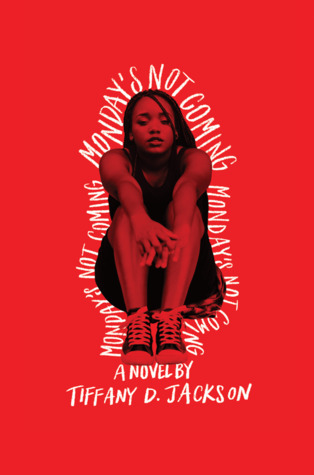 Let it be known that Tiffany D. Jackson can write. This girl has gift for the written word. And while I loved the premise of this story, I felt the execution was lacking a wee bit. I did become confused with the timeline of the story. It is presented in a way known as “Before” and “After” and even “2 Years Before the Before”. That made it a little difficult for me to truly follow what was happening. The momentum was broken and as a result I lost a bit of interest. I was still vested and I still had to know what happened to Monday, but the way in which the story was laid out was a head scratcher. By the end of the story, I understood why Jackson did what she did, but it made for a jagged story. I did like Claudia’s character and her loyalty to her best friend. Talk about a redeeming characteristic, wow. She was the only character that I really liked. The boy that Claudia becomes friends with was okay but I don’t think Jackson should have focused so much on Claudia trying to flirt and date the boy from church. That did not add any depth to the story for me. There were a lot of adults throughout the story but I was not a fan of any except Claudia’s teacher. I found it a bit strange that no other parent or adult chose to believe Claudia. They admitted they had not seen Monday but chose not to act. Was that because these were young African-American girls in a bad neighborhood so it wasn’t a big deal? Was it because Monday came from a severely broken home and her Mom was a waste of space? The ending of the story is the huge reveal and shocker – NOT GIVING ANYTHING AWAY – but there was one thing that was revealed that left me wondering what was going on. Maybe it was just me but I didn’t feel it was explained very well and to this day I’m still wondering what was going on. If you read the book, you may know what I’m talking about. If you do, message me! I might need you to explain it to me. No matter what critic I give in this review, I really did like this book. It was so thought provoking and eye opening, not to mention deeply disturbing. The topics Jackson writes about are real. This story is absolutely no exception. I am still a fan of Jackson and I will still continue to read/review her books. I love the voice she has brought to YA because I think it is necessary. I hope Jackson and her stories are here to stay.